The S&P BSE Sensex rallied 17 per cent in FY19 while the broader Nifty50 index of the National Stock Exchange (NSE) gained 15 per cent. Stock market ended financial year (FY) 2018-19 on a stellar note, thanks to a sharp rally in March after weak global cues and IL&FS crisis during the second half of the fiscal dented the investor sentiment in a big way. 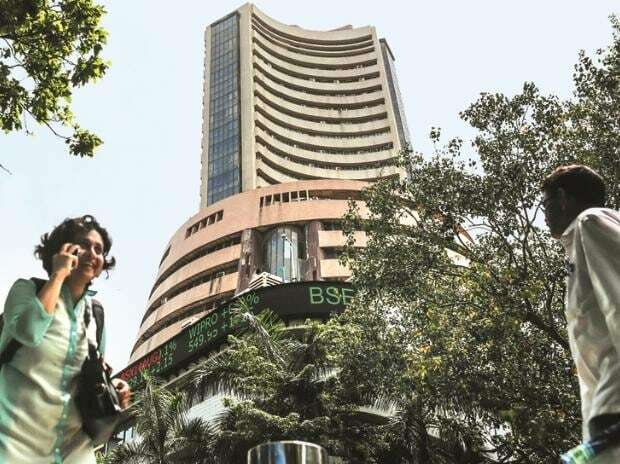 The S&P BSE Sensex rallied 17 per cent in FY19 while the broader Nifty50 index of the National Stock Exchange (NSE) gained 15 per cent. Out of this, 7.23 per cent gain in Sensex and 6.99 per cent in Nifty came in March alone. Going forward, equities are likely to maintain their upward trajectory and touch new highs; however, intermittent volatility due to general elections, occasional profit booking, global developments such as Brexit, central banks’ policy decisions and oil prices cannot be ruled out. With a slew of tailwinds including likely recovery in corporate earnings, RBI rate cuts, injection of liquidity in the system and end of bad loan provisioning in banks, most analysts expect Nifty to give around 12-15 per cent return in FY20. VK Sharma, Head – PCG & Capital Market Strategy at HDFC securities, says, "In the first week of January earlier this year, we had given a base case target of 12,400 for the Nifty for the calendar year 2019. The bull case target was for 13,700 in the Nifty. If we were to take a call again today, we could look at a level of 14,000 in the Nifty by March 2020. WILL MID-AND-SMALL-CAPS OUTPERFORM BENCHMARK INDICES? Most experts believe there is a fair chance that it could happen. "The year of FY20 will belong to mid and small-caps, for having handling well the last period of slow businesses, tight liquidity and SEBI norms, which impacted the valuation and growth of such classes. These are likely to lend a brighter period in the new fiscal year," says Vinod Nair, head of research at Geojit Financial Services. "Our analysis of fundamentals and valuations for mid-caps and comparison of mid-caps versus large-caps on several frontiers suggest that the relative attractiveness of mid-caps has gone up. Hence, we believe the broad underperformance of the mid-caps is overdone and interesting bottom-up opportunities are now available in this space across sectors," says Khemka. After four tepid years, earnings appear set for a recovery, especially led by Banking (with credit growth pick-up, the return of pricing power, moderation in fresh slippages and lower credit costs). This should drive profit and return on equity (RoE) recovery for Corporate Banks, which remains their preferred bet. With the exit from PCA, PSU banks will also be back in business now, experts say. The sectors analysts are bullish on include Construction (EPC), paints and consumer discretionary. Among stocks, analysts at ICICI Securities are positive on SBI, Axis Bank and City Union Bank. "Given the benign inflation numbers, lower interest rates and opening up of finance as RBI injects more liquidity, prospects of consumer discretionary players such as Voltas, Symphony look encouraging," says Amar Ambani, President, Head of Research at YES Securities. Thrust on affordable housing and a gradual rise in industrial activity augur well for paint companies and although autos look a little weak now, over a period of time, they are going to give decent returns, experts believe. "One contra play that we like is capital goods. Capacity utilisation of the manufacturing sector is at 75-76 per cent, at present. Once, it starts growing about 80 per cent, the private sector will engage or embark into a new capex spending and hence, the scope for capital goods will open up," Ambani says. Telecom, pharma, and aviation are themes most experts are cautious on. Given the huge investment needed and massive competition from Reliance Jio, analysts are bearish on the telecom sector as of now. In the aviation space, since last few years, passenger traffic has grown at double-digits and the crude oil price has been between $60-80 per barrel; still, the companies could not make money. This is the reason, why experts are negative on the sector. In the pharma space, “we are still witnessing very stringent USFDA inspection and observation on Indian facilities, which is one of the vital reasons why we are underweight on it,” Ambani explains.